Have you heard of hippotherapy? 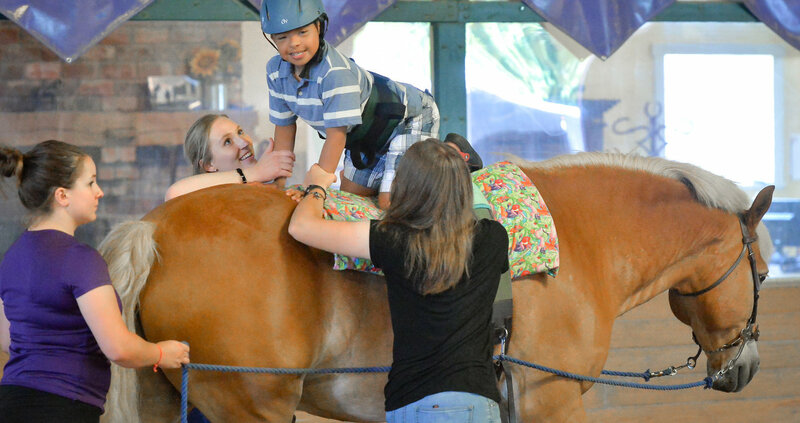 The Children's TherAplay Foundation is one of the few clinics in the country dedicated to providing physical and occupational therapies on horseback for children with diagnoses such as cerebral palsy, Down syndrome, autism spectrum disorders, traumatic brain injury, and developmental delay. Our therapists combine a sensory-rich, child-centered clinic with hippotherapy – a treatment strategy incorporating the movement of horses – to provide carefully graded motor, sensory, and neurological input. Derived from the Greek word for horse, hippos, hippotherapy is the purposeful application of equine movement by a licensed and specially-trained physical, occupational, or speech therapist. 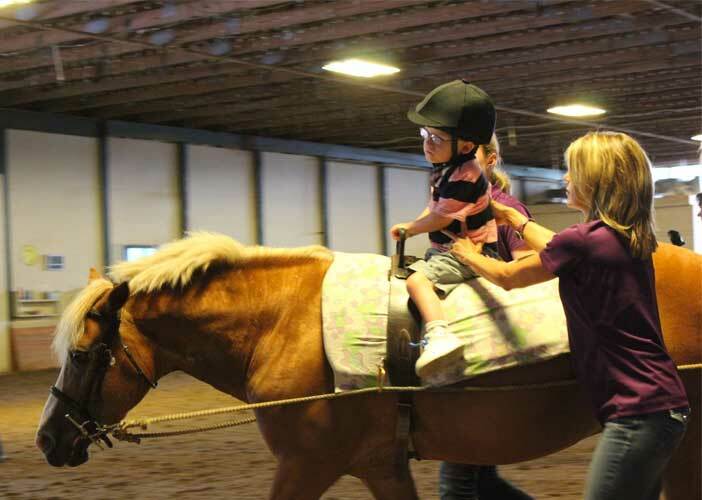 We provide individualized, one-on-one physical and occupational therapy in our clinic and on horseback for Central Indiana children, ages 18 months to 13 years, who have special needs. 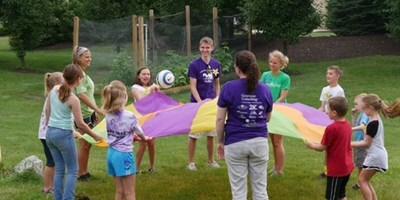 Wondering if treatment at Children’s TherAplay is a good fit for your child? Check out our program parameters, in-network health insurance carriers, and steps to patient referral. We owe Children’s TherAplay so much for expanding our son's quality of life. 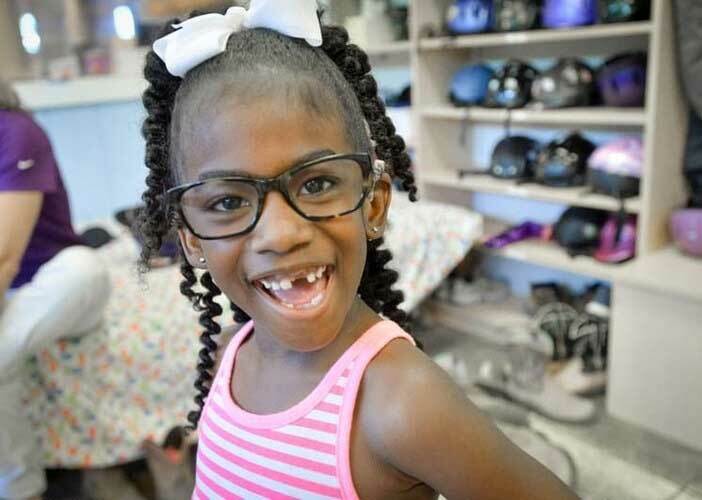 Children's TherAplay has been an amazing tool for Laila's success! ... We definitely consider physical therapy and hippotherapy at Children's TherAplay to be a blessing! As Brayden’s riding the horse, the horse’s movement helps mimic the human gait and the weight-shifting patterns that he needs to learn to better walk on his own and [it] builds up that core muscle strength. Each treatment costs Children’s TherAplay $182; however, the average health insurance reimbursement is only $101. 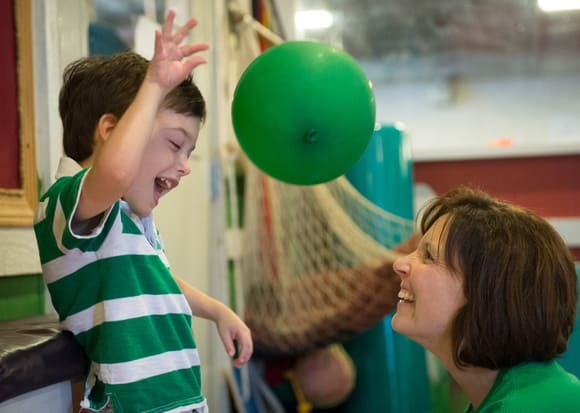 Your contribution helps close that $81 per-treatment gap and ensure that children with special needs continue to have access to these life-changing therapies for years to come. Stay in the know with our awesome emails!